The Gold package offers clients coverage of the majority of the day and includes nearly all the formalities associated with weddings in a friendly, energetic way. Typically Full day coverage starts approximately 2 hours before the ceremony for the bridal preparations. Photography then continues through the ceremony (Subject to restrictions) onto the Group Shots, Natural Shots, Bride and Groom shots, Room decorations, speeches, cake cutting and finishing with the speeches. 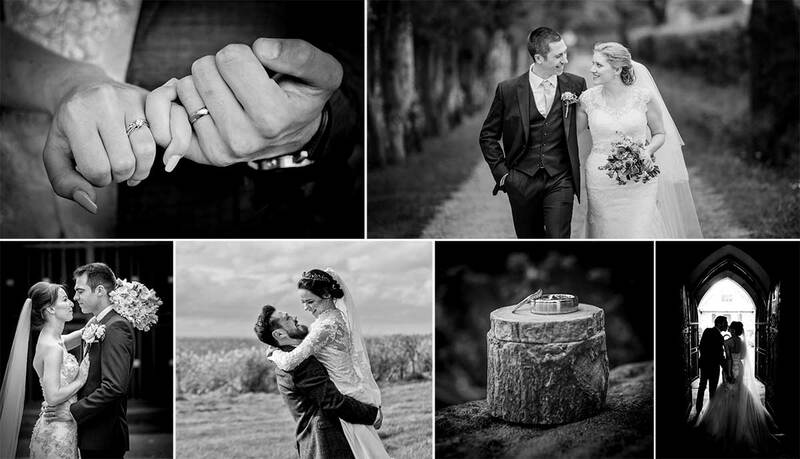 This package mixes formal shots with natural moments to create a beautiful mix of moments. After the speeches I’ve finished with the part of the process that you see, but I still have several days of Photo editing to go before the work is ready. This package usually produces between 300 and 500 images which are carefully edited and then given to you on high Resolution image disc(s), USB memory stick or as a download. The images and usually ready within 10-15 working days. The next step is then to pick which images you’d like for your album. I suggest around 50 images for a balanced Storybook, although clients are free to choose between 40 and 60 images. These images are then designed into a storybook layout and when your happy with the layout are sent to the lab to be printed and bound into a prestigious storybook of your choosing. Typically (But not always as ever wedding is different) this package would include Bridal preparations, Pictures of accessories ie Flowers, Button holes, Bride arriving at the venue, Ceremony, Group shot, Confetti, Family Shots, Bridal Party, Bride and Groom, Room Decorations, Cutting of the cake / Mock Cake and finishing with the speeches. Wedding Photography coverage from Bridal preparations (At least 2 hours before) through to the end of the speeches. Typically (But not always) the images will be a mixture of formal, relaxed moments and spontanious unscripted shots all mixed together to show the moments you remmember and the bits you never saw. All The final Wedding images, typically at least 300 in high resolution, Without watermarks on either image discs, USB or as a Download. I don’t mind you uploading/printing or sending guests your wedding photographs and personal printing is never a problem.